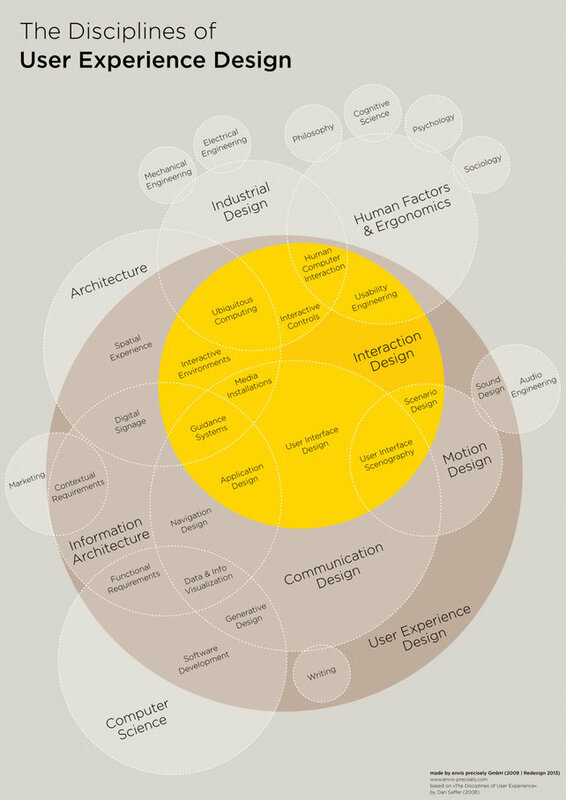 From the co.design website a infographic worth a look: The Disciplines of User Experience Design is a mega Venn diagram by Dan Saffer (given a pretty makeover by Thomas Gläser) that explores all of the overlap between UX and other fields of design. You’ll see UX’s overlap with architecture, human factors, sound design, and computer science–and you’ll also see its sweet spot, interaction design, with user interface and all of its tentacles at its heart. Take a closer look at the Co.Design. Tags: design, graphic design, interface, ui, usability, user experience, ux. Bookmark the permalink.